For your baby, the church nursery is their first impression of church. It is our hope that they develop “a sweet taste of the love of God” during their time with us that will last with them through their growing years. See our Nursery Page for more info. We know that your child has many options and interests and “church” may not always be one of them. But these are the years where the foundations of faith are built and so we at Surf’s Up work real hard to create programs and activities which inspire kids to take faith steps. And we do it in a way that is fun and exciting! Every Sunday during our church gathering times preschoolers have a fun learning environment just for them. 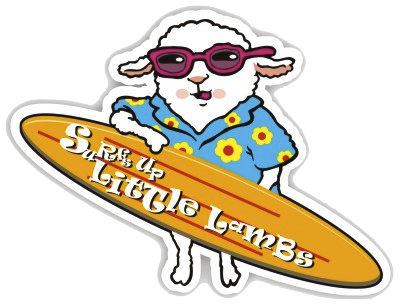 We also offer Little Lambs Club on Wednesday afternoons September – May. Click here for more information. 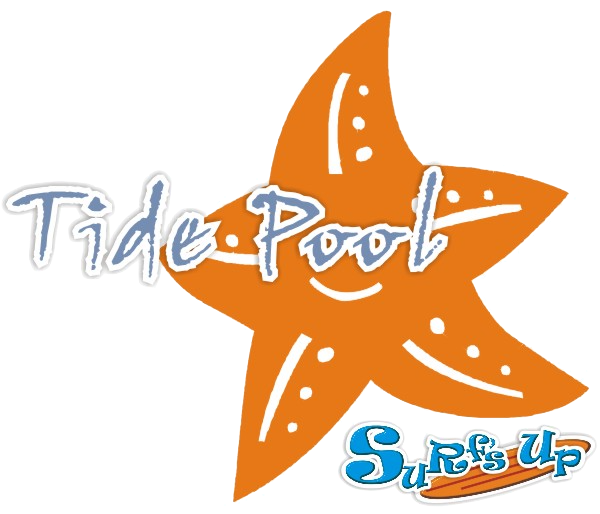 Surf’s Up’s MCC|Kids Church is offered at the same time as our Adult Worship Services. Some highlights of kid’s church include upbeat worship music and interactive games and competitions between teams of kids. The Bible is taught in words kids will understand and during their Team Time, their leaders help them relate what they have learned to real life. Kids sense the love of God from their team of dedicated leaders who are committed to serving Christ by leading kids. Take home sheets encourage kids to take what they have learned and apply it throughout the week. Kid’sQuest is our Kid’s Small Group Club for Grades K-2 and meets on Wednesdays Sept.-May. Click Here for more information. 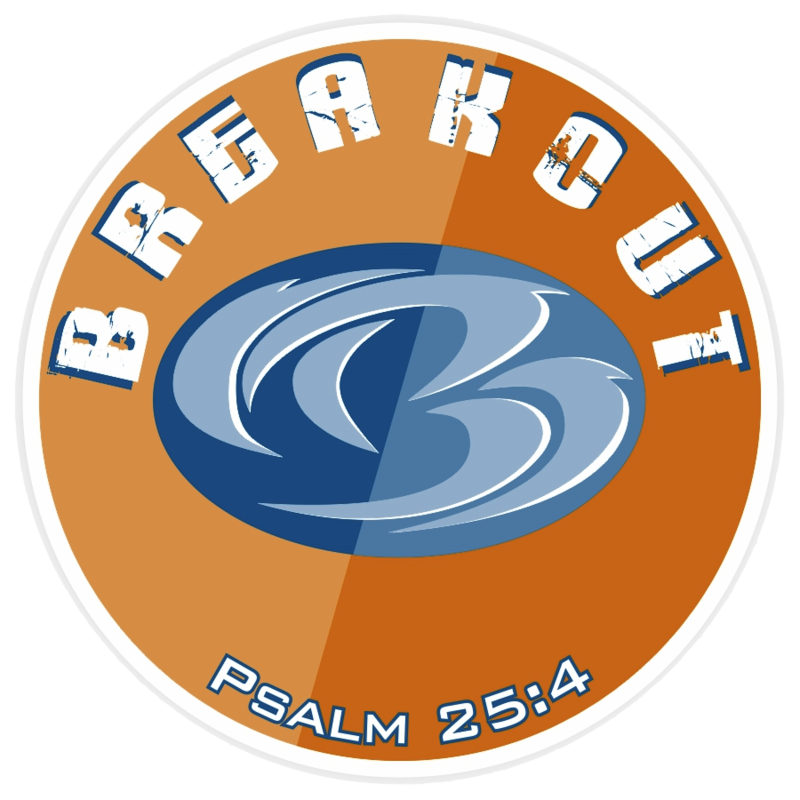 Breakout is our Kid’s Small Group Club for Grades 3-5. It’s designed to help your child in their spiritual formations by modeling small group participation, teaching biblical practices and principles, and developing habits of home devotions and bible memorization. Click Here for more information. The Harbor is a special group that bridges our KidMin and Youth Ministry to help tweens make the transition from one age group to the next. This is a place where they can explore questions of faith and real doubts can be expressed without fear with peers their same age. They meet during both Sunday morning gathering times. Children check-in before serve begins but attend worship with their family until dismissed. Children are picked-up in the Childrens Ministry Center following service. With God: We actively pursue ways to engage your child in a way that will deepen their relationship with Christ through stories, activities, and conversations that encourage your student to seek after God so that they may have a forever friendship with Him. With Children: Our Team is passionate about knowing your child individually by knowing their likes and dislikes, where they are spiritually, and connecting with them on a deeper level. Your child is not just a body in a crowded room, they are a friend of ours. With Families: At Surf’s Up, we don’t just want to know your child, but your family as well! We wish to talk to you frequently about how your child is doing and to know you by name as well! We hear the same bible stories over and over again in our lifetime. Surf’s Up strives to teach the bible in biblical truth, the values of the stories they are hearing, and by learning the faith skills they need to grow in a healthy relationship with Christ. Our desire for them is to find joy, peace, and companionship knowing that Jesus came to meet with them and be their friend for life. At Home: Life hits us all at once with sports teams, scout meetings, birthday parties, schools, and everything else. Our team is dedicated to empowering you as household leaders to help bring Jesus into your homes and your cars. From Sunday take homes, that give you questions with which to talk to your child around the dinner table, to cellphone apps, we provide resources to for you to connect with your child about their growing faith. Family Fun Events: We want you to feel like you can carve out time from your busy schedule to talk to your kids whether it be in the car on the way to soccer or around the dinner table. Encounter: Discover God together as a family with our once a month Family Worship Experience. Play games, sing praise to God, hear a Bible lesson, and go through the month asking questions that bring you all together. Family Fun Events We want you to have FUN! Every quarter we look for ways for families to come together and just be a family! See our event page for upcoming Family Fun! Our Team: We have a great team that serves each week in Surf’s Up! They have a desire to assist you as the parent in investing the love of God in your child’s life. Each worker, or as we call them, Lifeguard, has undergone an application and screening process, is placed where they are passionate to serve and receives continual equipping to serve more effectively. Check-in System: We ask that you check your child in to each of our programs using the tablet system in our lobbies. A receipt is printed out for you to claim your child when the session has ended. Your child is released only to the person with the receipt. So if you want to have another parent, family member, or friend check your child out, make sure to give the receipt to them. Looking for information and registration forms for Camps and other events? Throughout the year we offer many family fun events and Camps. Visit our Events or page for more information. We would love to have you make a difference in the lives of children and families. If you would like to discuss serving in one of our many roles and age-specific programs, please contact our KidMin Director, Kaitlin Gehret.